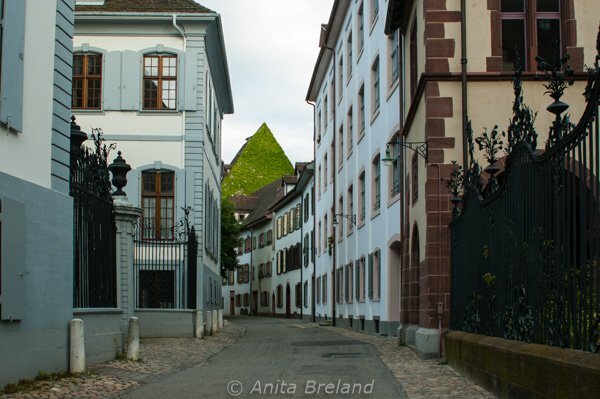 Basel’s ancient heart brings out my inner historian. 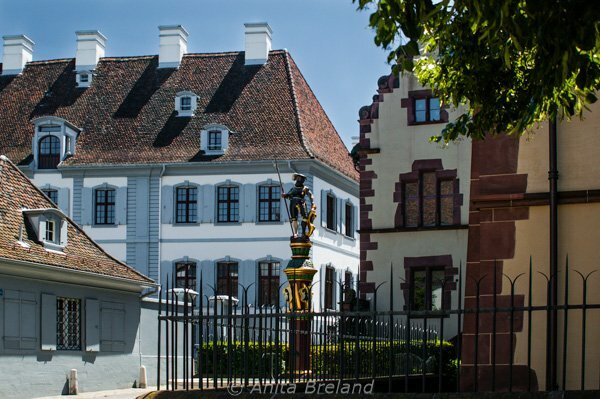 The Old Town is intact and compact, draped across three sentinel hills and along both sides of the Rhine. 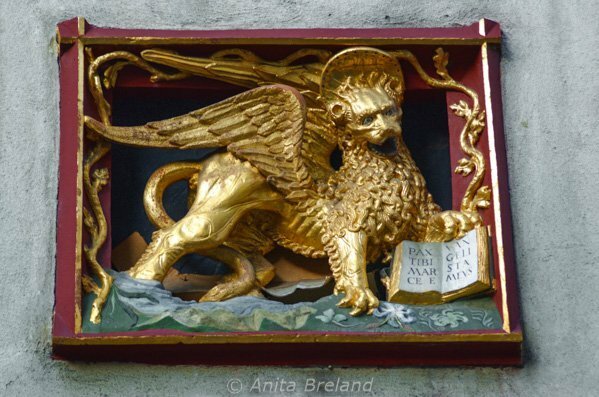 Atmospheric streets lined with medieval buildings lead from the Rhine are meant for wandering, and there are small surprises along the way, such as this plaque dedicated to Venice, an old trading partner. 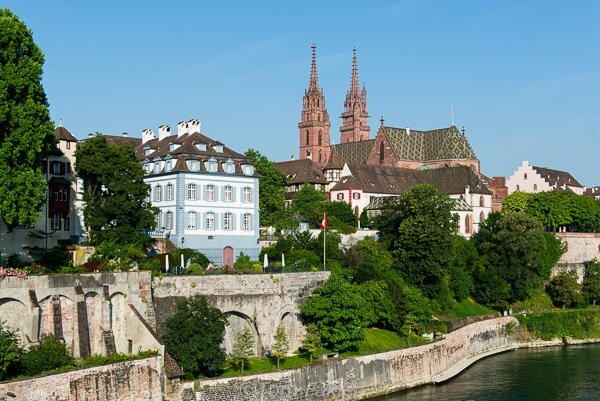 Basel was founded in 48 AD as a Roman outpost, atop an earlier Celtic settlements. Its Münsterhügel has been occupied for centuries and is the centerpiece of the city’s Old Town. 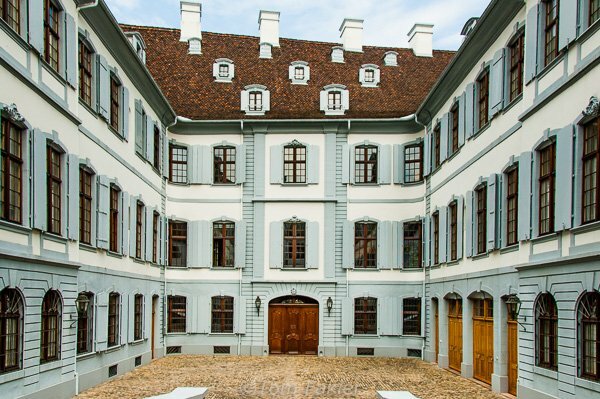 The Münsterhügel (Cathedral Hill) in Basel, Switzerland has been occupied for 22 centuries. 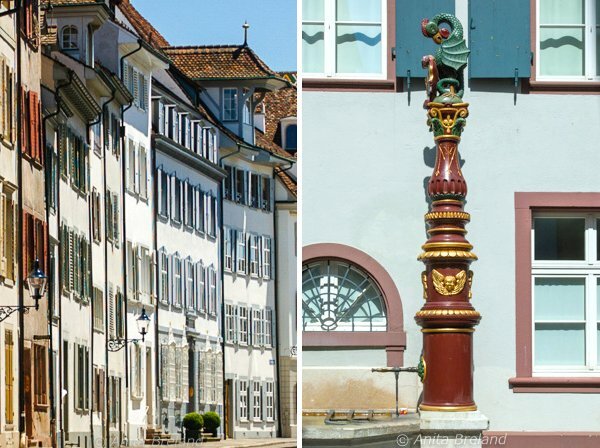 Near the Münster, Basel’s Romanesque cathedral and best known landmark, remains of Celtic and Roman settlements are still visible, a tangible reminder of the city’s long history. 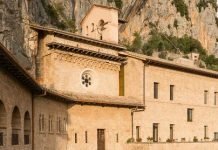 A walk here starts with the imposing former cathedral, and takes you past the regal homes of the city’s silk-ribbon barons, and houses of Savoy nobility that ruled the region centuries ago. Many buildings on the hill pre-date the catastrophic earthquake of 1356. 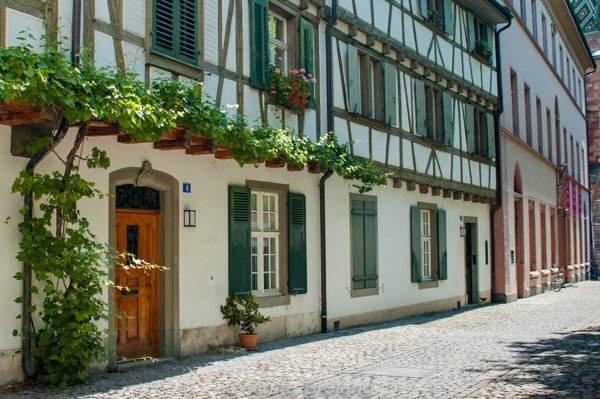 Here are a few highlights from this historic neighborhood: around the Münsterplatz, along neighboring Rittergasse and down to the Rhine via Augustinergasse, Martinsgasse and Rheinsprung. 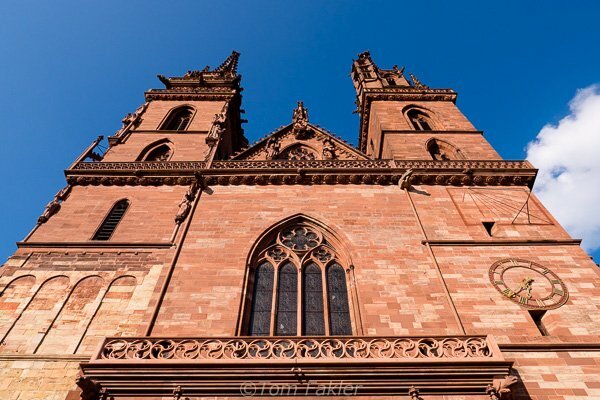 Basel’s Münster (Cathedral) was built over centuries, and rebuilt following the earthquake of 1356. 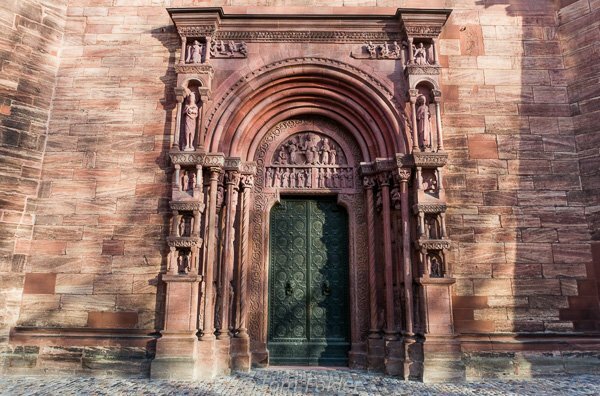 Financed by King Heinrich II and his queen consort Kunigunde of Germany, the Cathedral is a significant late-Romanesque sacred building, built on the site of a 9th-century structure. 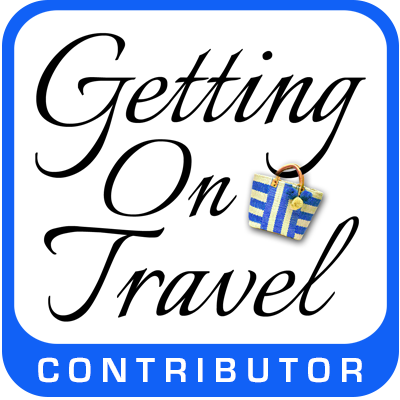 It makes a great backdrop for the flying rides of Herbstmesse, the annual autumn fair. The 12th-century Gallus Portal is filled with imagery. 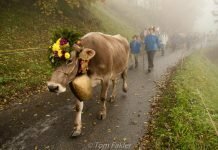 It is named after St. Gall, the Irish monk credited with bringing Christianity to Switzerland. 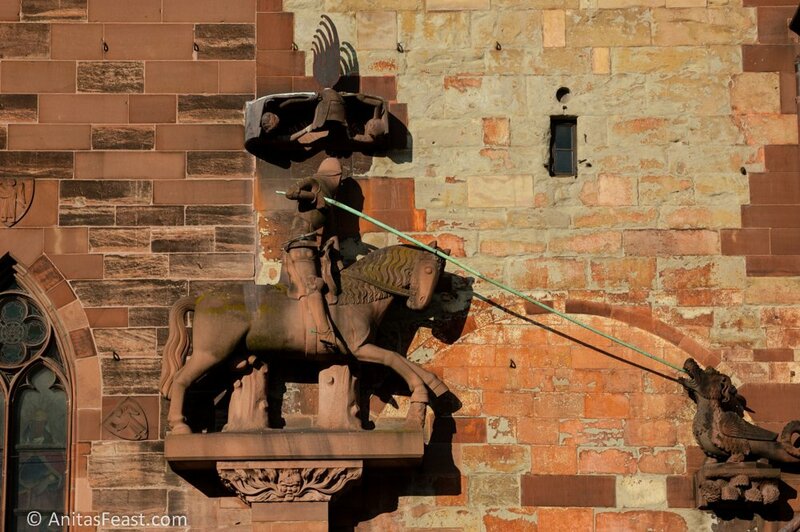 St. George slaying the dragon on the façade of the Münster’s St. George Tower. 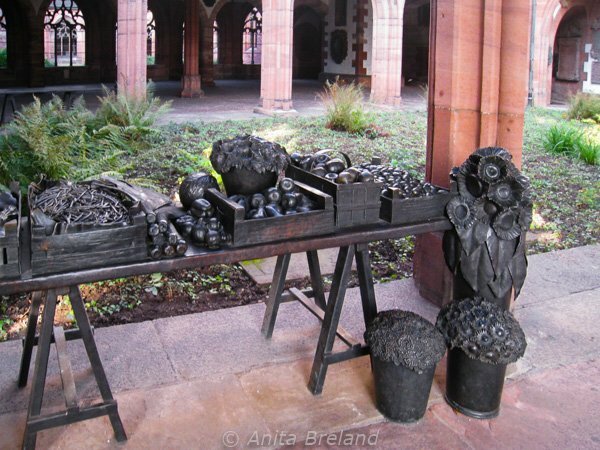 In the Cloister of the Cathedral, Marktplatzbrunnen, by Bettina Eichin. This is one of two bronze tables for the proposed Marketplace Fountain, Basel, 1990. 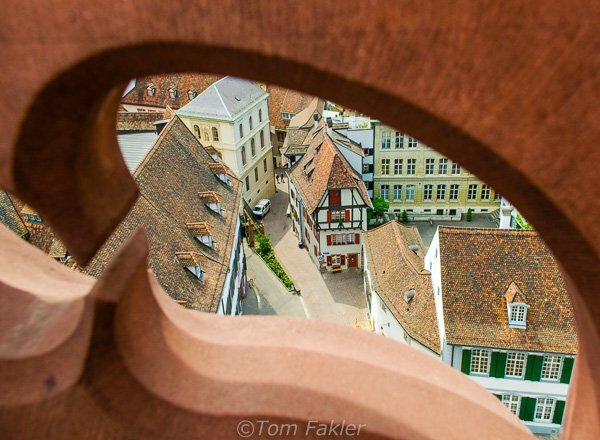 Climb one of the towers of the Cathedral, to catch this view over Basel’s Old Town. Münsterplatz, Basel’s Cathedral Square, is ringed with fine medieval buildings, such as the Rollerhof, from the 16th century. The square is often a hive of activity, thronged with crowds for the autumn fair, open air cinema in summer and other events year round. A grand building fronting Basel’s Cathedral Square. 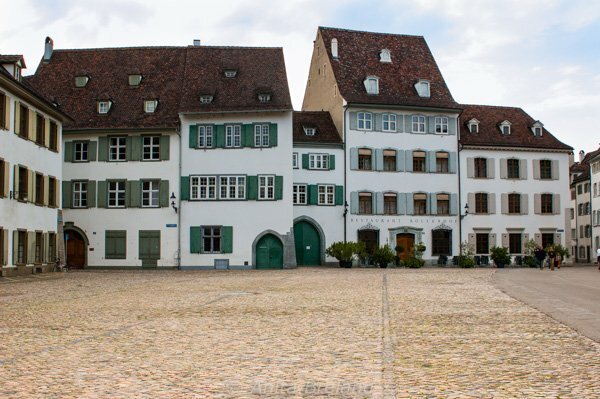 These houses front the Cathedral Square and overlook the Rhine. 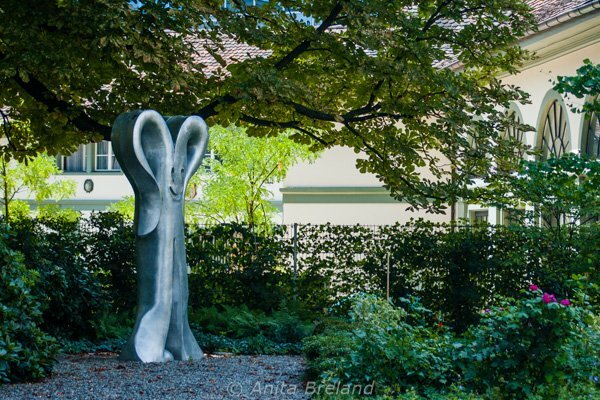 This jolly sculpture graces a gated garden on Rittergasse. 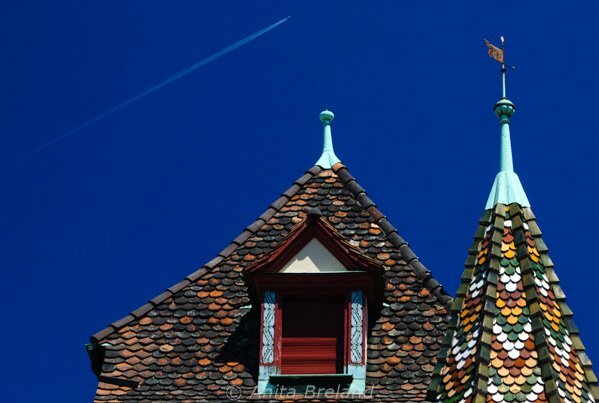 Tiled rooftops in the neighborhood of the Cathedral are colorful. This one is on a small street leading into Rittergasse. The stately adornment of the building housing the Museum of Culture was originally intended to be seen from boats on the Rhine, atop a grand platform. Instead, houses were built in close range, and the carvings are easily missed by passersby. 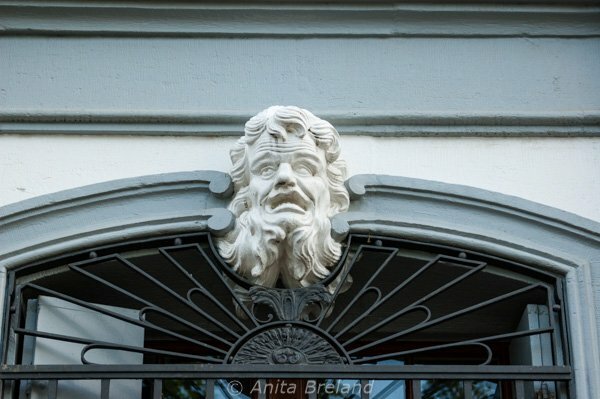 Homes along Augustinergasse have entrances on the street, and fine views of the Rhine. They also have several stories not visible from the street, the lowest of which are cellars at river level, with Celtic origins. 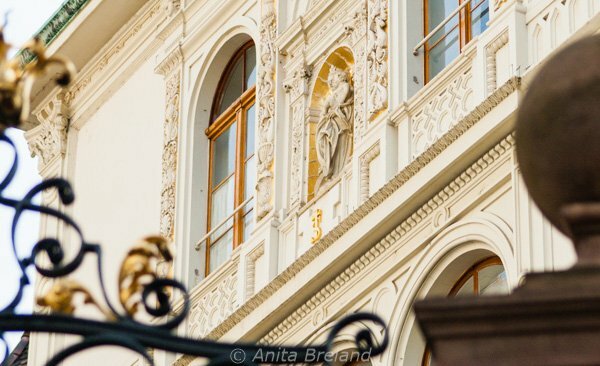 The front façades of the Weisses Haus (White House) and Blaues Haus (Blue House) were decorated to reflect their owners’ interests in music and philosophy. Shops along the ancient Rheinsprung, a pedestrian street leading from the Schifflände. 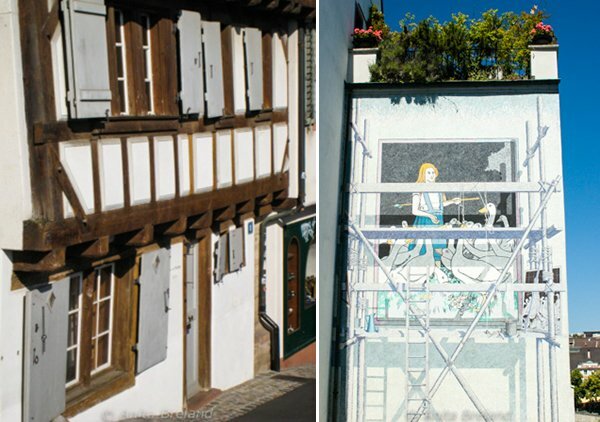 Along the way, a house is decorated with a painting, the Gänse-Liesel / Lisa and the Geese, by Samuel Buri. 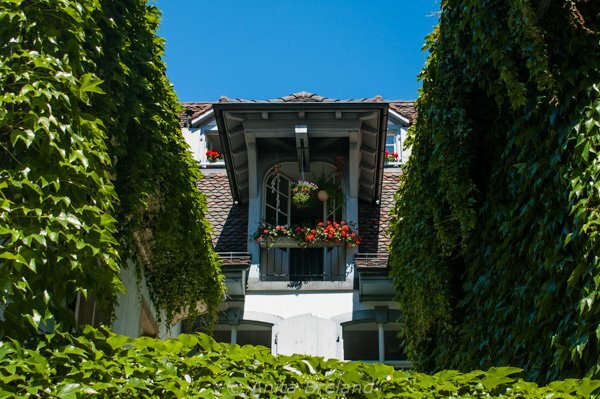 Window of a house on Martinsgasse, framed by vines in summer. Rear courtyard and business entrance of the Weisses Haus (White House). The house was built in the 18th century for brothers Lucas and Jacob Sarasin, silk-ribbon manufacturers. Living quarters faced the Rhine. Martinsgasse, lined with houses dating from the 15th century, leads to Martinskirchplatz, past the upper entrance to the Rathaus (Town Hall) and the city archive building. Martinsgasse ends at Martinkirchplatz, the Blaues Haus (Blue House) and Staatsarchiv (City archive) framing the intersection. 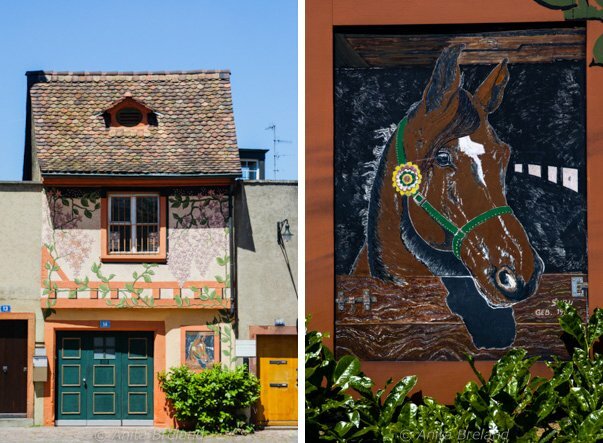 A house near Martinskircheplatz with fanciful equine and foliage wall paintings. 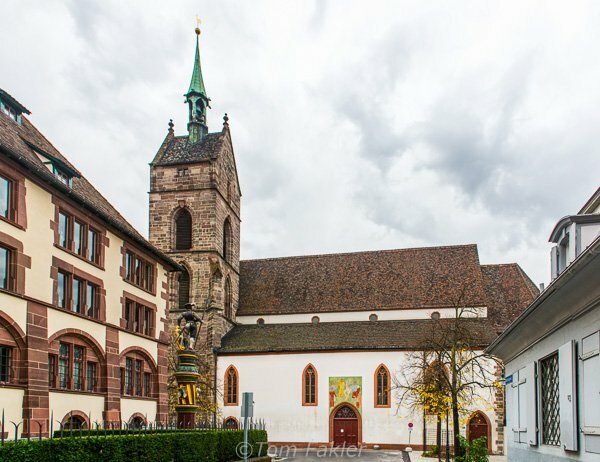 Martinskirche is one of Basel’s oldest parish churches, perhaps the oldest, first mentioned around 1100. 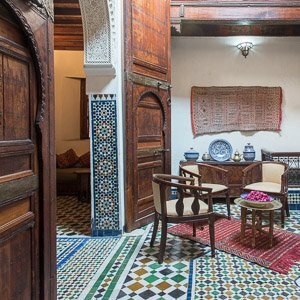 Its handsome interior with wonderfully squeaky wooden pews is beautifully decorated with frescoes, and a popular venue for orchestral and choir performances. 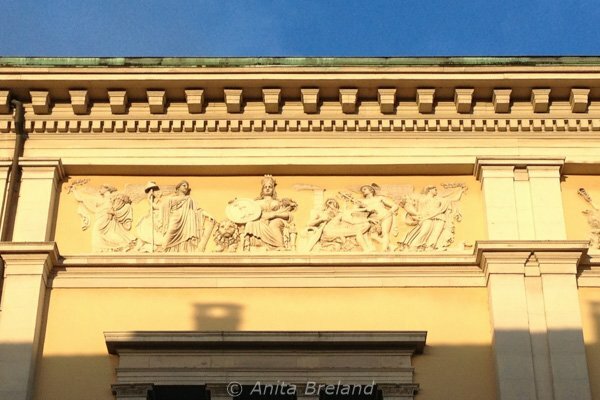 The ideal way to learn the stories behind these beautiful buildings, is to join a guided walk. 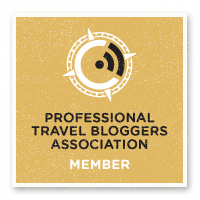 Basel Tourism offers themed walks in the Old Town, and architect Dina Bonefacic-Mihaljek of architecture walks and talks leads excellent tours uncovering Basel’s fascinating history through its buildings and architectural artifacts.